Pinlock Arai for models RX-7 Corsair, Quantum-F, Viper, Condor, Chaser, RX7 RR4. Offers a fantastic solution against shield fogging. Fogging can easily occur because of the difference in temperature inside and outside your helmet and your moist breath. The Pinlock Original insert is made of a moisture absorbing plastic and, therefore, the surface basically dry when used. The insert also has a silicone seal that creates a double shield system. This air-tight pocket ensures that the difference in temperature becomes significantly lowered. 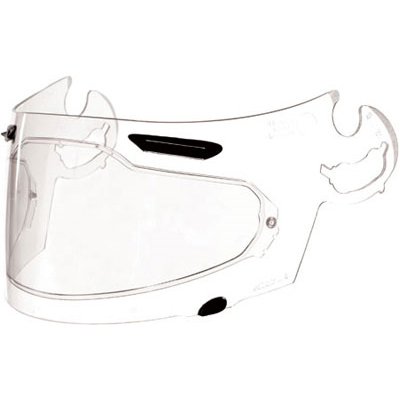 The Pinlock insert absorbs moisture on the inside and offers you continuous clear visibility.